CHAMPAIGN, IL, April 1, 2019 – Over 350 people gathered at Parkland College for the 14th Annual Innovation Celebration on the evening of Friday, March 29 to recognize those individuals and organizations that have made significant contributions, taken risks, and provided leadership to ensure the continuing economic success of Champaign County, the ongoing success of the University’s economic development mission, and the growth of entrepreneurial talent and energy in our community. Innovation Celebration is not merely an award for accomplishment, but a benchmark of success for those outstanding individuals, organizations and corporations who are nominated and selected to receive this prestigious award. 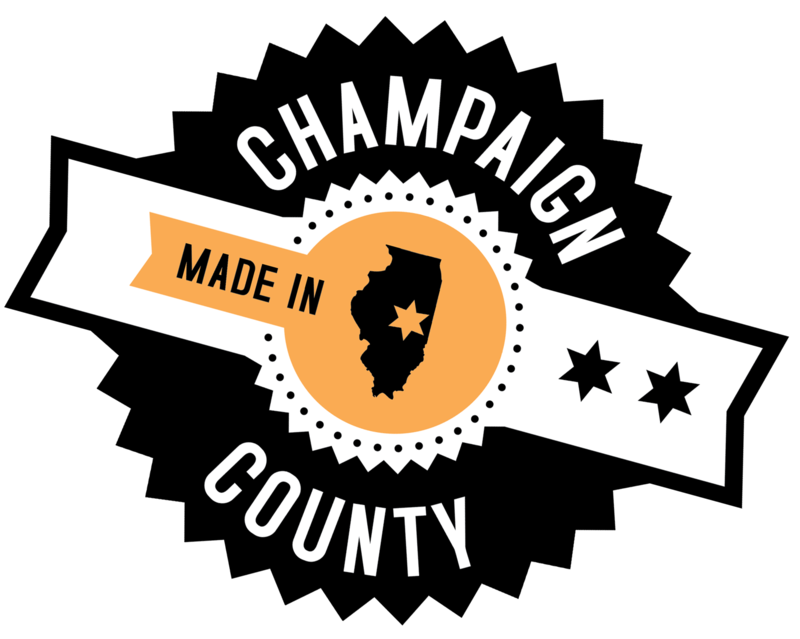 Innovation Celebration is hosted by the Champaign County Economic Development Corporation in partnership with the University of Illinois at Urbana-Champaign, Parkland College, and community sponsors. For more information, visit www.innovationcelebration.com. Serve as change agents by creating and implementing sustainable solutions to reshape society, benefit humanity, and address social concerns. Formed by students in the last three years and demonstrates a commitment to continuing success through entrepreneurial talent, creativity and energy. Formed in the last three years, and demonstrates a commitment to continuing success through entrepreneurial talent, creativity and energy. Actively engage, encourage, coach and mentor entrepreneurs in the community, and provide extensive support to help them achieve success. Demonstrates expertise in assembling resources, creating an organization, and working to build and implement effective action plans. Landon Frye, Jake Kreider, and Sophie Roney – Granular, Inc.
Has made a significant economic development impact in the community and continues to demonstrate their commitment to Champaign County. Recognizes an individual or group from the University of Illinois whose research has resulted in either a discovery or a work with the potential for significant societal impact. Recognizes an individual or team from the University of Illinois that has channeled their experience living with a disability into positive change through the creation of new products, environments, or protocols that enhance quality of life. Recognizes an individual or group at Parkland College who has shown support of the college’s community engagement mission. The EDC was pleased to work with the following sponsors of our 14th Annual Innovation Celebration: the University of Illinois’ Technology Entrepreneur Center, Research Park, Office of Corporate Relations, and Office of Technology Management, along with Parkland College, Lodgic Everyday Community, Carle, Serra Ventures, Surface 51, Singleton Law Firm, City of Champaign, Ramshaw Real Estate, Litania Sports Group, Pixo, Hatch Ag Group, Huawei R&D USA Champaign, Hanson Financial, Community Solutions Incubator at the Community Foundation of East Central Illinois, Illinois Small Business Development Center at Champaign County EDC, Prominic.NET, IllinoisVENTURES, and Busey. A special thanks to Five Foot Productions for producing the videos.